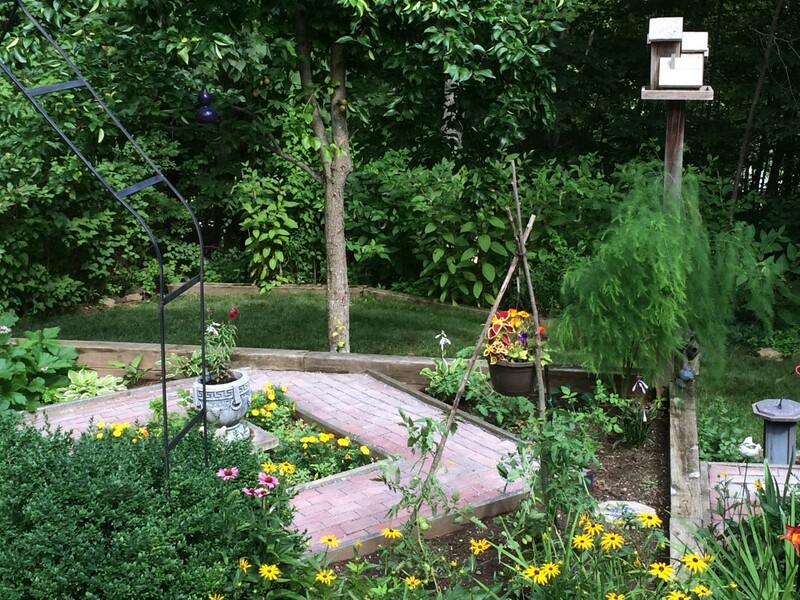 Creating a backyard habitat that attracts birds, bugs, bunnies and the rest of the local wildlife is a fun and rewarding experience. Whether you live in the city, on suburban lot, or in a rural area with loads of land, you can provide all of the basic necessities for inviting the locals into your yard. Planting a wildlife-friendly garden can enhance the enjoyment of any yard, and providing for the birds and animals has a positive impact on wildlife that extends far beyond the boundaries of your property line. Transforming a suburban lawn, a rural backyard, or a city plot into an area where the locals will visit doesn't have to be difficult or expensive, though it can become a life-long passion (it has for me). 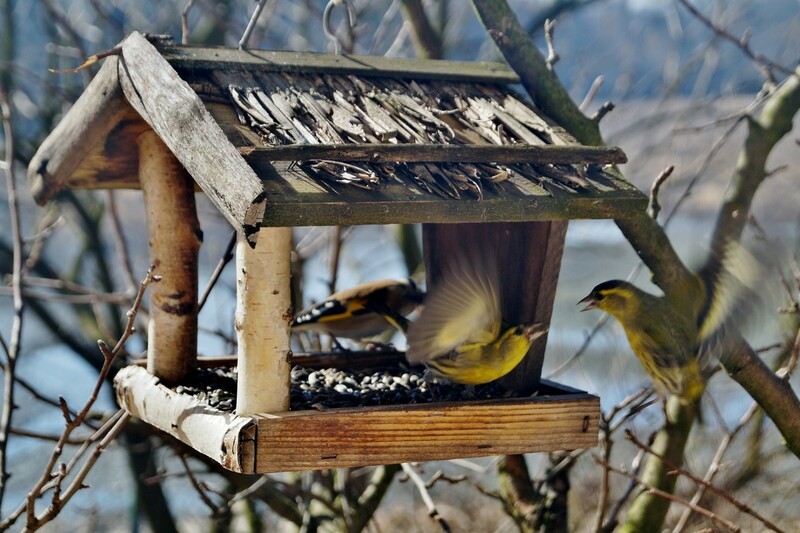 Getting started is as easy as putting up a bird feeder for attracting a few featured friends. Our property offered a good foundation for creating a friendly habitat for the local native wildlife, and for a more interesting and enjoyable environment us. The retreating glaciers carved the landscape, leaving chunks of exposed granite ledge and scattering boulders of various sizes. The woods surrounding our house are mostly oaks with some maple and beech, patches of mountain laurel, and a few grouping of pines. Deer and wild turkeys pass through in search of acorns and wild blueberries. We added gardens planted with native and ornamental shrubs, flowering annuals, perennials, herbs, and more. A variety of feeders offer different types of a seeds and suet, and we added a small pond. A wildlife-friendly landscape has four essential ingredients: food, water, nesting sites and protection from weather and predators. 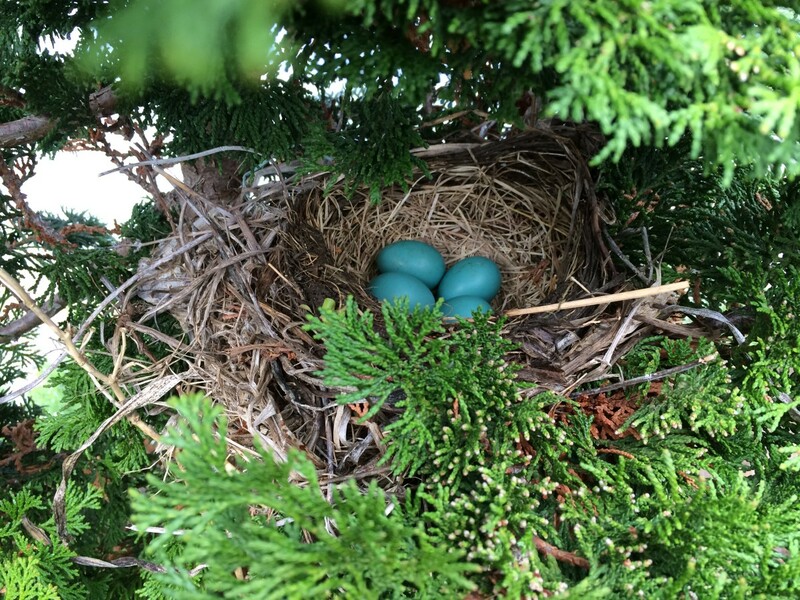 Trees and shrubs offer shelter with places to hide and build nests. Native flowering shrubs, annual and perennial plants bring in the bees. We added plants, tucked in around the rocky outcroppings and expanded the gardens as time allowed. 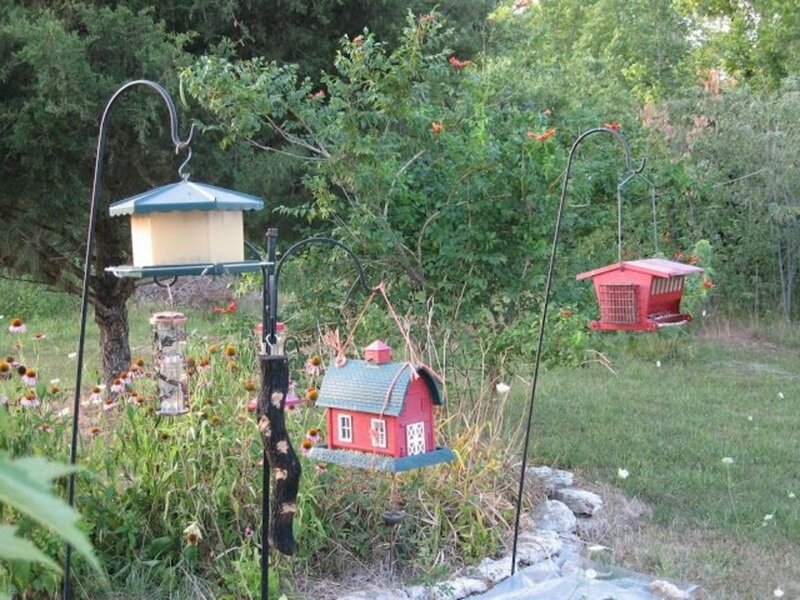 Bird feeders for seeds, suet and nectar along with a variety of birdhouses and a bird bath and a small pond encourage the local birds to visit. A few stayed around to become semi-permanent residents. The birds and bunnies naturally feed on native plants and insects. 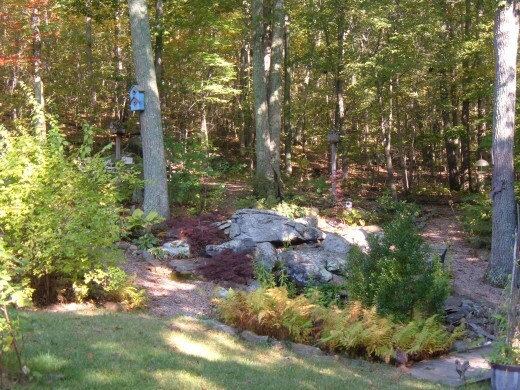 If your yard already features a variety of native trees and shrubs, then you are well on your way to creating a backyard wildlife friendly landscape. You can further enhance the benefits of natural plantings by adding different types of plants that are native to your area. Local horticultural departments provide great advice on selecting wildlife friendly native plants that cater to the needs of locals, as well as which invasive species to avoid. Local garden centers are increasingly carrying more inventory of native plants that are suitable for your area of the country. Many common landscape plants provide food and shelter for birds, insects and other animals. 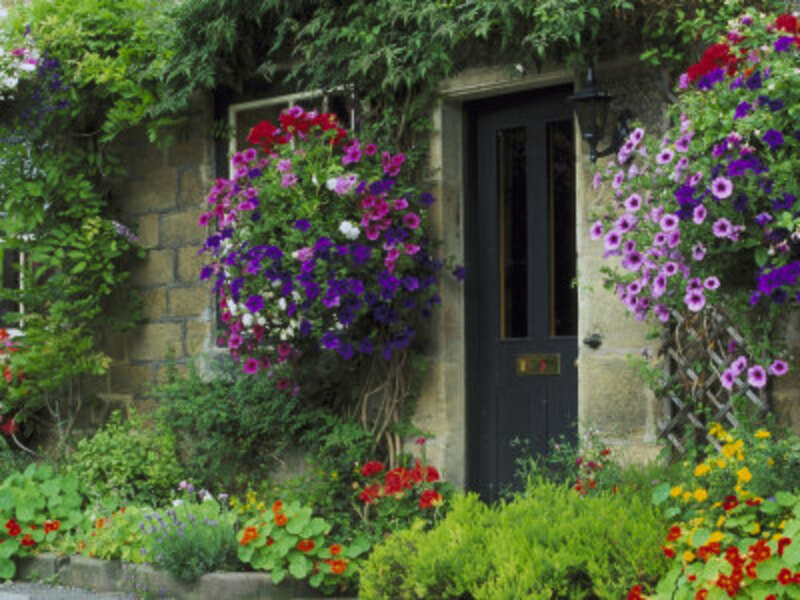 Encourage more and different types of wildlife into your yard by adding a selection of perennial and annual flowers, either planted in the ground or in containers. Nectar producing blooms will attract hummingbirds, butterflies, bees and other beneficial insects. 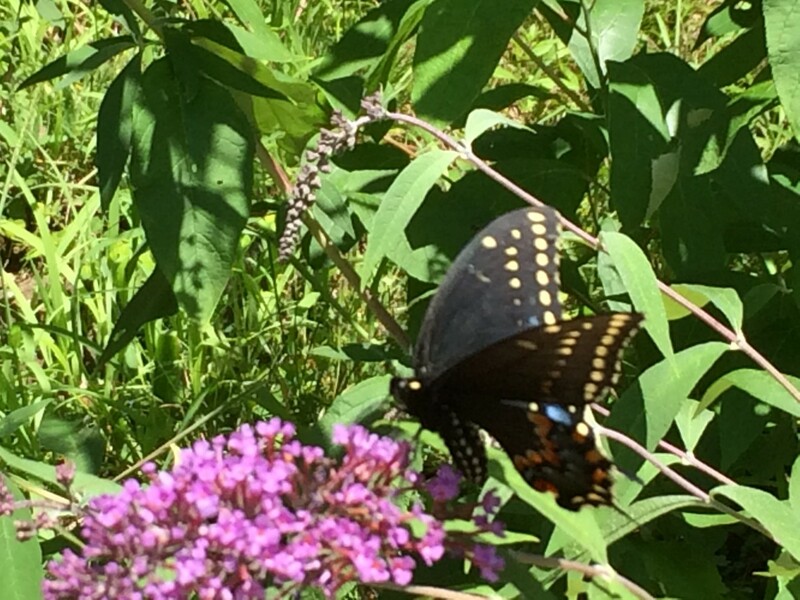 Mix native flowering perennials and shrubs together with ornamental plants such as sunflowers, coneflowers and milkweeds along with herbs including dill and parsley to provide a variety of the local critters with food, shelter and places to raise their young. After the blooms fade, let the last flowers of the summer turn to seed, and birds will feast on the ripen seed pods throughout the fall and into the winter months. We planted a variety of fruit and berry producing trees and shrubs such as blueberries, dogwoods, crabapples and winterberries to increase the different types of available food for both year round residents as well as seasonal and migratory visitors. Hanging bird seed and suet feeders will supplement the other natural foods that you have planted and enticed into your expanding wildlife habitat. Fill the feeders with black oil sunflower and thistle seeds to add essential proteins and fats to the diets of visiting birds, especially during the colder months when food sources become scarce. We have several feeders placed strategically around the yard. 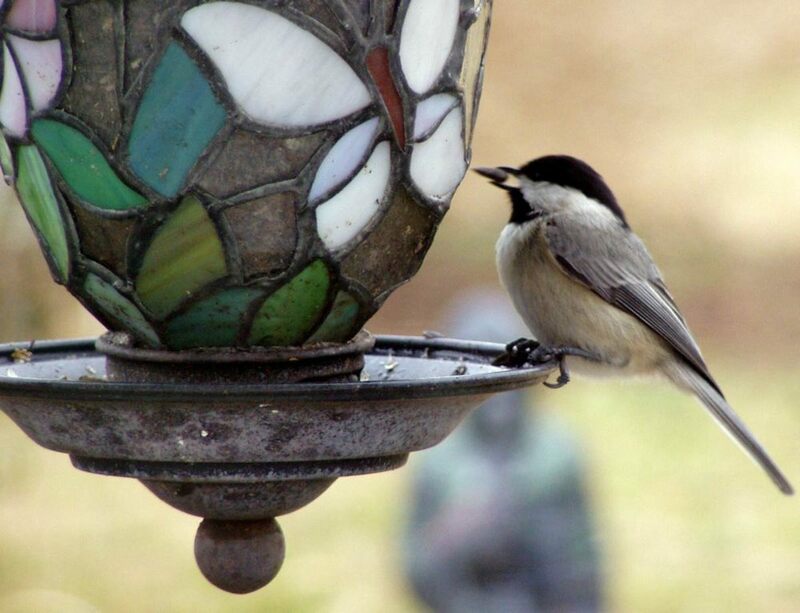 Our favorite is a feeder filled with black oil sunflower seeds that hangs outside our kitchen window, calling in a variety of birds including chickadees, titmouse, downy woodpeckers and others. A feeder box placed just above ground level and filled with cracked corn and goat chow offers a snack for deer, wild turkeys, squirrels and chipmunks. 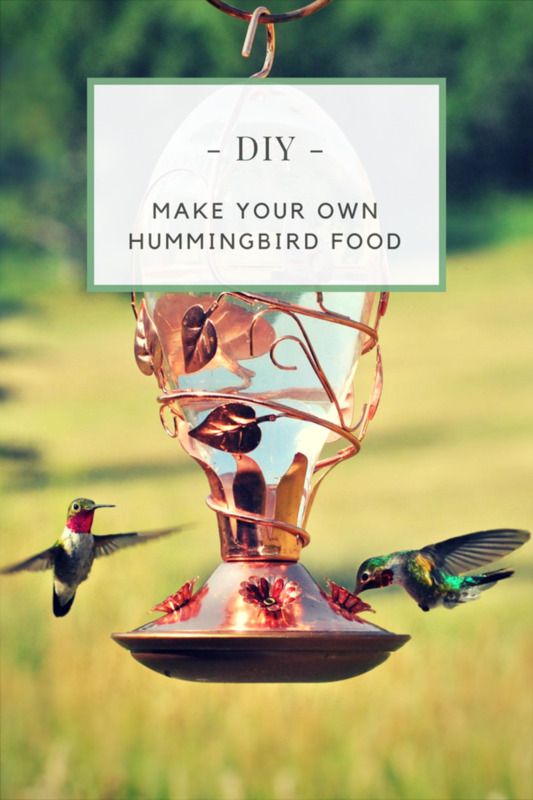 A suet feeder for the winter and a hummingbird feeder for the warmer months expands the avian menu. A small bird bath filled daily with fresh, clean water provides another reason for birds and insects to visit your yard. We found a granite bird bath at a local garden shop that fit right into our landscape. In addition to providing a refreshing place for the birds to splash and drink, the bird bath adds a bit of year round structure to the garden. A permanent water feature will attract frogs and damselflies. We hand dug a small pond at the base of a rocky outcropping. The little stream and waterfall runs year-round, adding a sound and movement while providing the locals with a reliable place to find a drink. 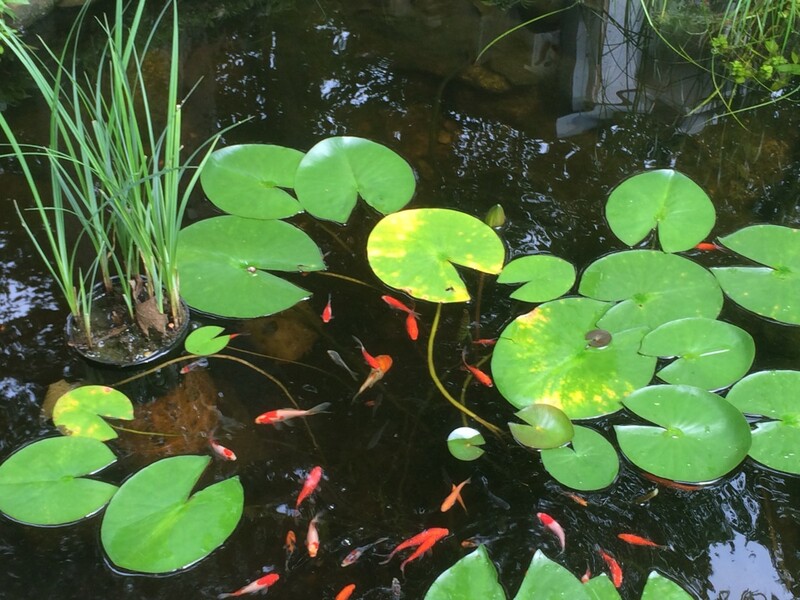 Adding a few aquatic plants created another micro-environment for insects and for the koi and goldfish to hide. Seasonal visitors include wood frogs and spring peepers. 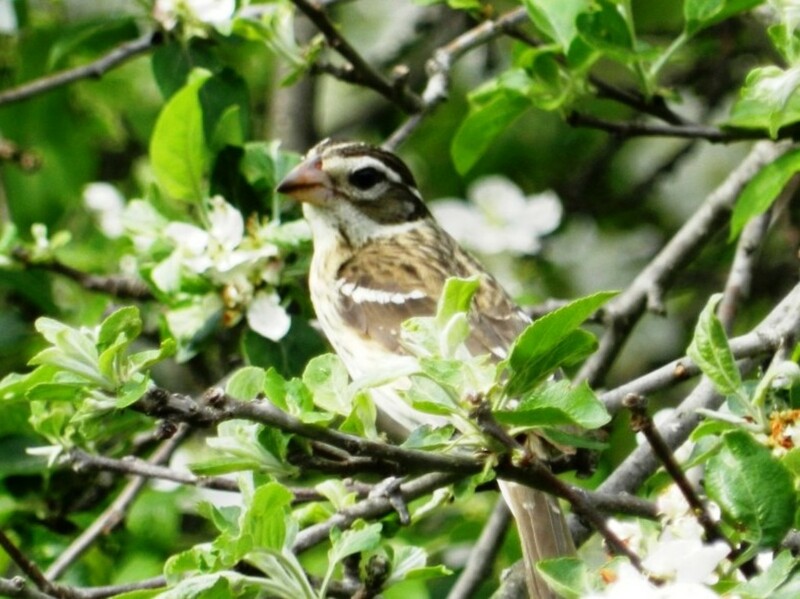 Trees and shrubs provide natural shelters for birds and animals to take shelter from rain, wind and snow while also providing protection from predators. A canopy of leaves offer shade from the hot sun and places to hide. Dead trees and limbs provide critical habitat for a variety of birds and bugs. Woodpeckers chip away at deadwood in search of insect larva, and hollow out nesting cavities to raise their young. Owls and bluebirds nest old woodpecker holes and natural cavities found in old trees. 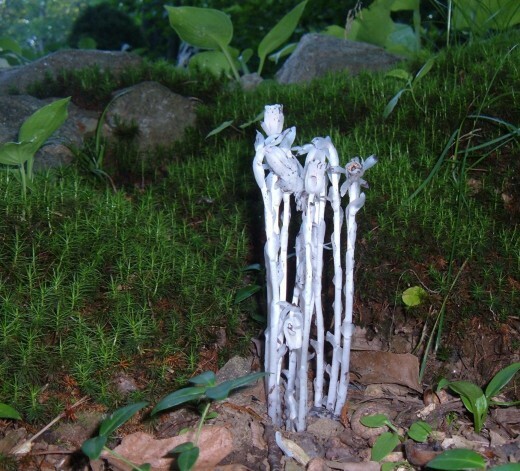 Even a small brush pile of old branches and limbs creates cover and nesting potential for a variety of birds, bugs and other critters. 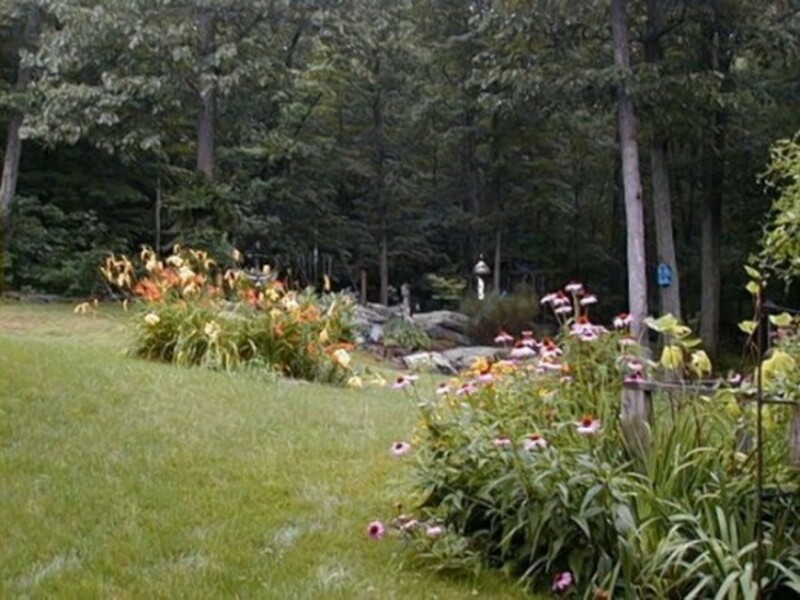 If space allows, consider letting a section of your yard to grow naturally. This will encourage native weeds and grasses to take hold, further increasing the diversity of your backyard habitat by attracting more birds and other local inhabitants. Many types of native birds make their nests in hollow tree cavities including chickadees, woodpeckers, owls and bluebirds. As more woodland is lost to urban sprawl, it becomes harder for cavity nesting birds to find suitable sites to safely raise their young. 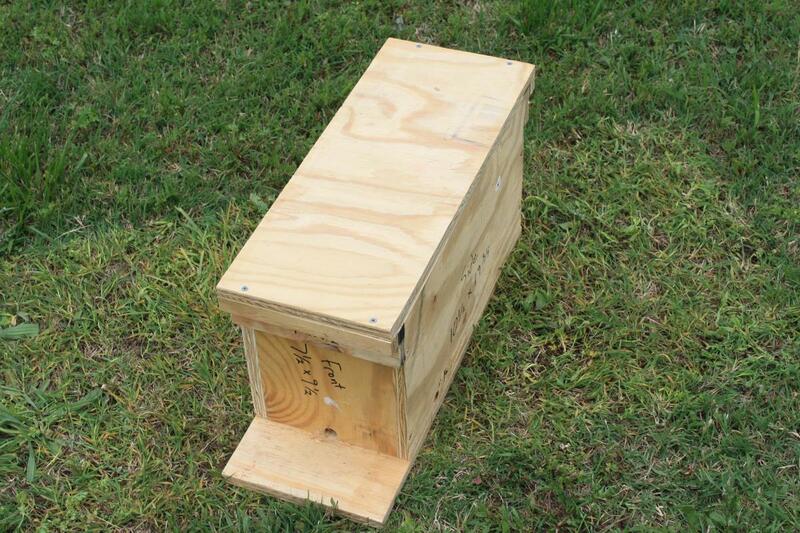 Fortunately, many cavity-nesting birds will readily move into a manmade nest box. Each species of bird has its own nesting requirements including the size of the nest box, the size of the entrance hole, and the height of the entrance hole above the floor of the nest box. Before buying or building a birdhouse, decide which species of bird already inhabits your yard, and which type you want to attract to your birdhouse. 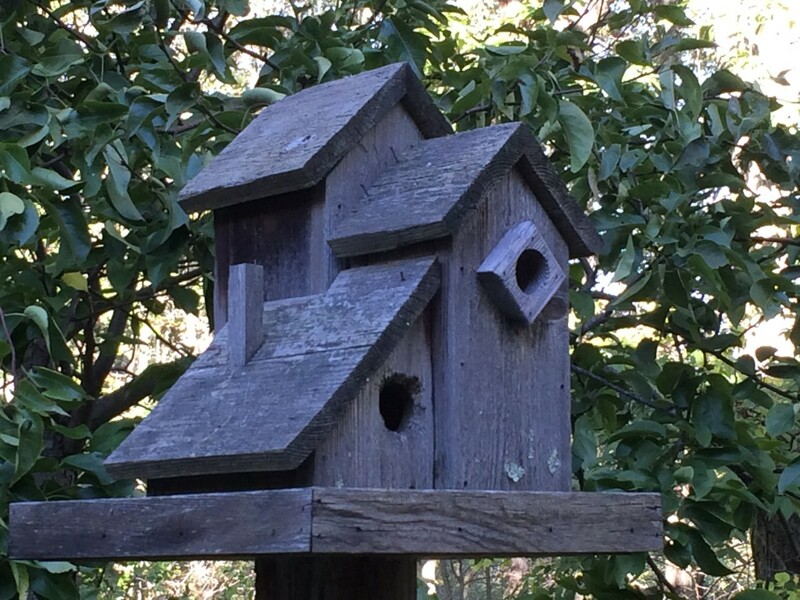 The Cornell Lab of Ornithology offers a listing of common cavity nesting birds and their preference for nest box dimensions. Building birdhouses is one of my hobbies. 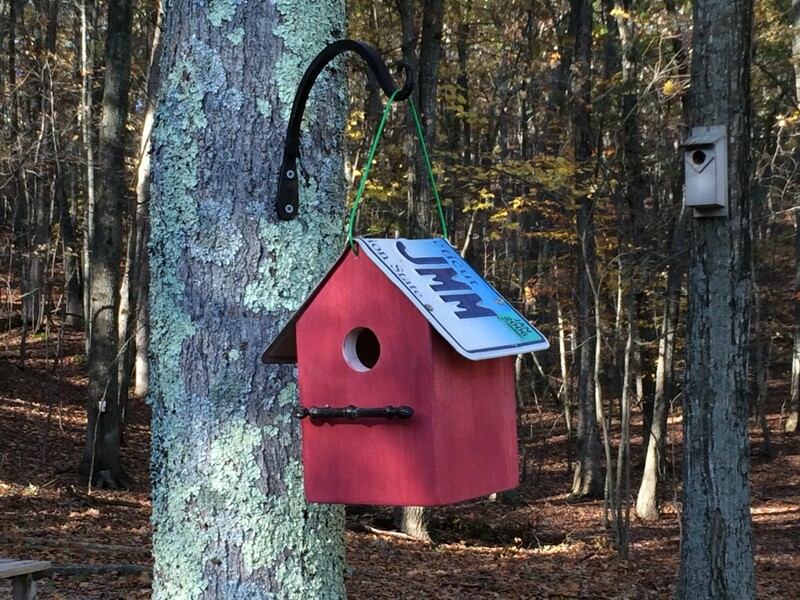 Over the years, I've added many different styles of birdhouses designed to attract different types of birds. 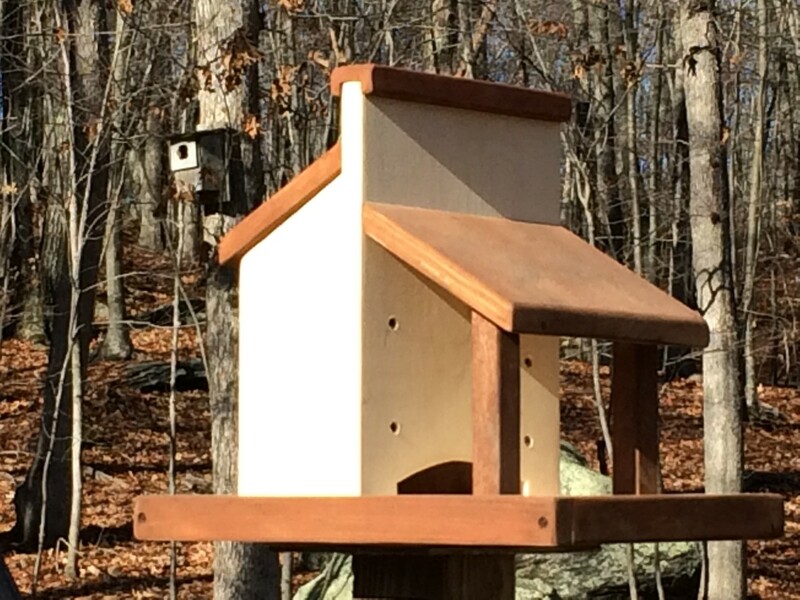 Bluebirds, chickadees and wrens raise their families every year in my handmade shelters. Even a family of flying squirrels moved into one. I've built nest boxes for screech owls and kestrels, and a customized bat box (with a familiar bat logo) is mounted high in south-facing tree. If every property owner just did a little bit to help the wildlife in their area, the combined efforts would create an extended wildlife-friendly habitat for all of the locals. 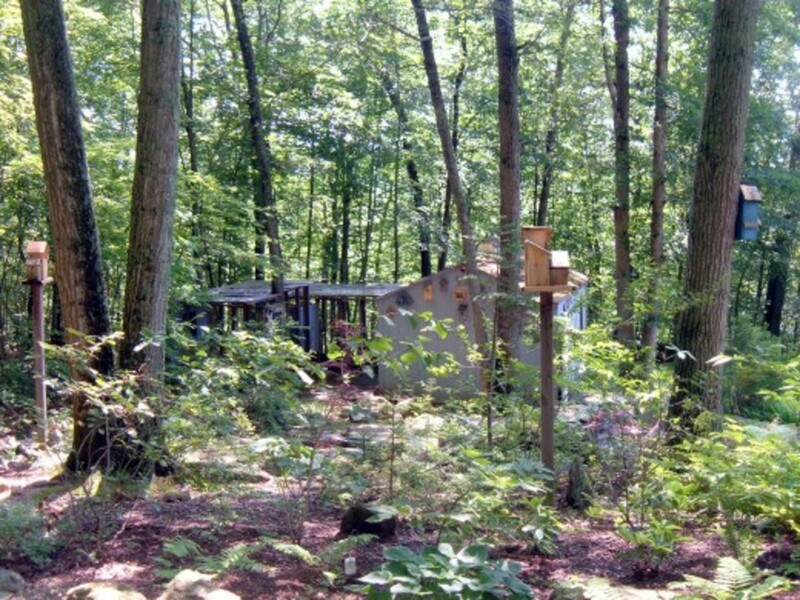 A tour through a Backyard Wildlife Habitat in North Carolina. Beautiful and serene. 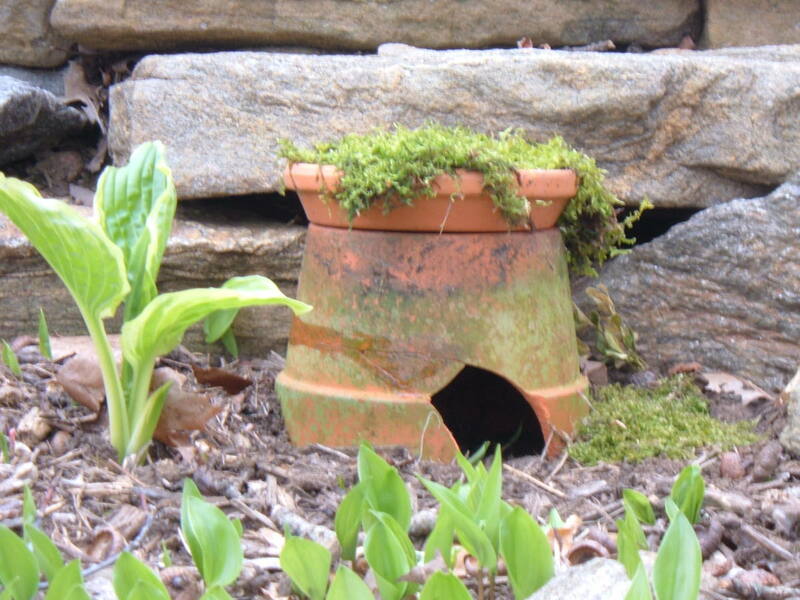 Quick and easy, this toad house is made from an inexpensive terracotta flowerpot and boasts a naturally aging mossy patina. A light hammer strike against the rim of the flowerpot produced the chipped opening. The terracotta is both tough and brittle, and is difficult to break cleanly. Try to break out a semi-circular opening about 2 inches across, though the size and shape is not critical. The roof of the toad abode is the moss-filled saucer, placed on top of the inverted flowerpot. Fill the saucer with potting mix, and press pieces of moss into the soil. Keep the moss moist until it takes root in the soil. 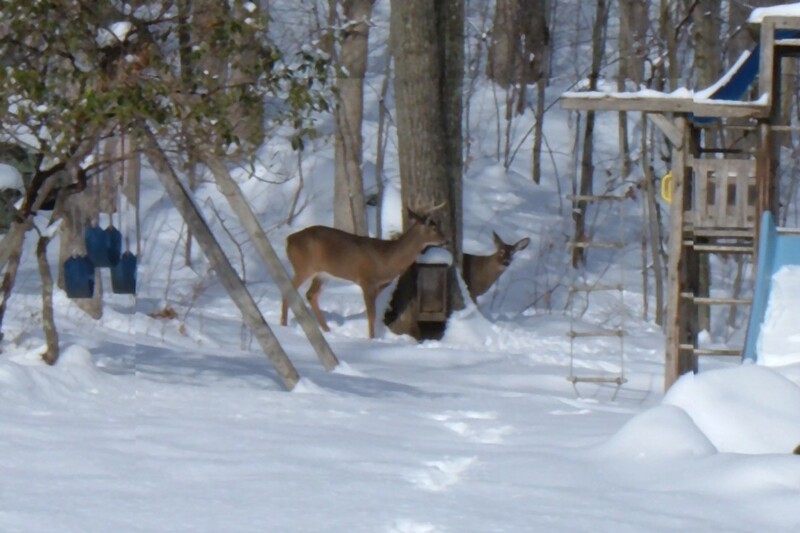 Build this wildlife feeder to attract deer, turkeys and other animals into your yard. 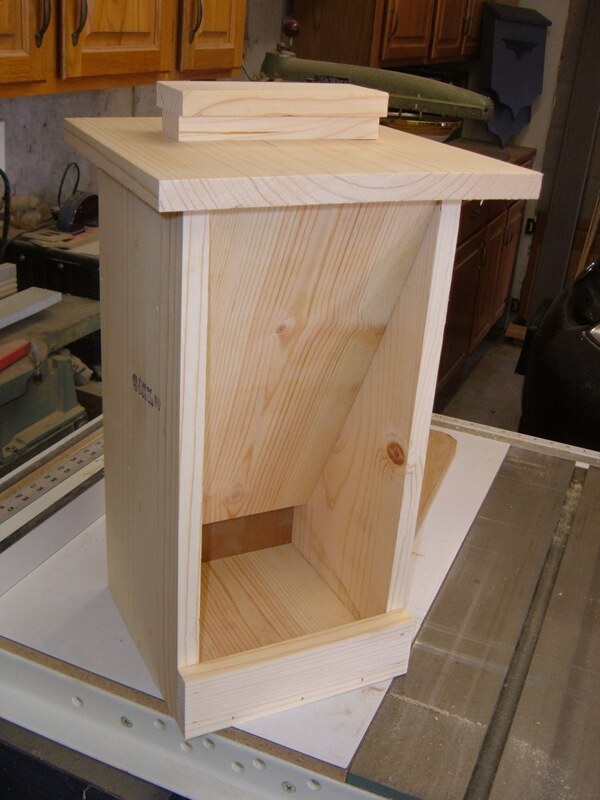 This feeder box is quick and easy to make from pine or cedar, which is readily available at any home center or lumberyard. The wildlife feeder is basically a box with a slanted front panel to create a bin for storing the food, and with a lower tray to hold cracked corn for feeding. A removable lid makes it easy to fill the feed box with cracked corn or a wildlife specialty feed mix. 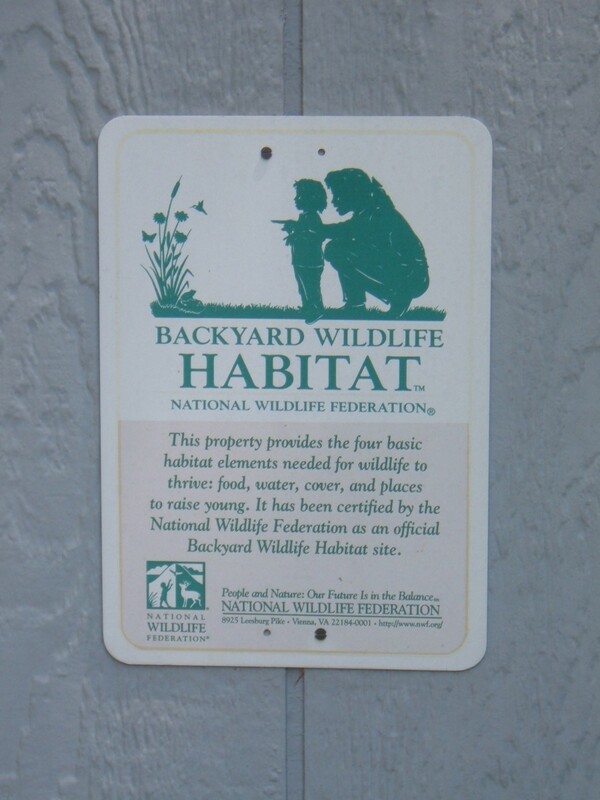 Have You Certified Your Backyard Habitat? Yes, absolutely! We have lots of happy wildlife around here. Not yet, but I planning on it. No, I don't have a backyard or other outdoor area. I hadn't thought about this before, but I'm interested now! We are right on the lake with so many trees around so birds surround us. Just a symphony of bird songs. This is great to think about a way to provide for every aspect of the well being of the wildlife in one's area. A friend transformed her yard with planting that birds would like. Really a labor of love. 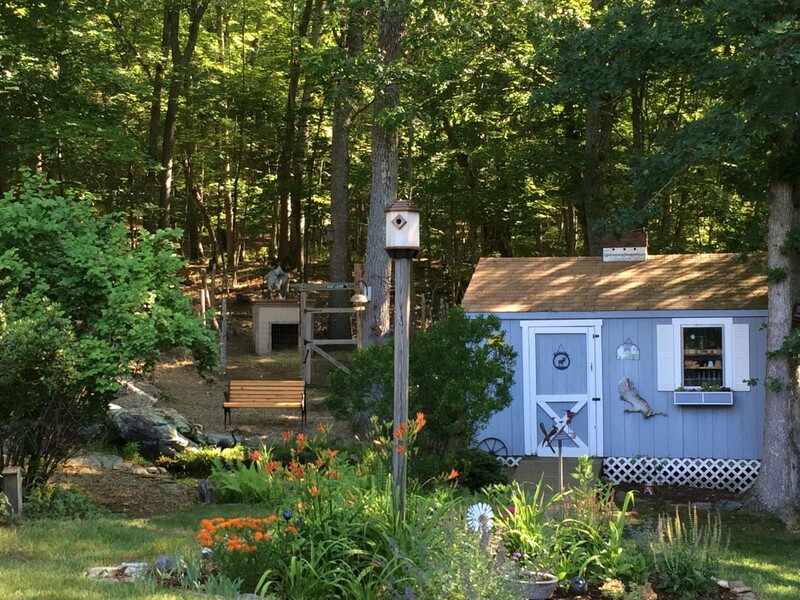 Love all your yard and bird house lenses...thanks for sharing! This is the perfect time of year to create backyard habitats that can be enjoyed by wildlife and us all year around! Just stopping by once more to relax in your wonderful natural backyard habitat. Love it. Lots of helpful ideas here. Thanks! I enjoyed seeing the photos of your backyard wildlife habitat. Remind me that I'd better get that birdhouse put up that I got a while ago. I was in the neighborhood and just had to take another look at your backyard wildlife habitat pictures and see you added a poll about certifying your backyard habitat, that's a concept that you have introduced me to. I do so wish that my city were as kind as yours. Ours used to be fine but now they have done a complete reversal on urban wildlife it seems. Communities throughout B.C. are doing urban deer kills and it is heartbreaking. I am so glad that you are allowed in your community to live in harmony with the local wildlife. @mrducksmrnot: If every property owner just did a little bit to help the local wildlife in their area, , the combined efforts would create an extended backyard wildlife habitat for all. Thanks for visiting! Great lens, love it, I am a lover of wild life in my garden also. Like the toad idea, must try that one. A wonderful and informative lens for sure. I especially like you reference to the National Wildlife Federation. If folks incorporate your ideas and do them then maybe future generations will be able to see a lot of wildlife and creatures they would have never seen due to the population crowding them out from their natural environment. WELL DONE. You sure are encouraging that everyone with a yard can create a wildlife habitat and maybe even encourage neighbors in town by example to start creating one in their own yard. I love your idea of letting part of your yard be wild to add to the habitat opportunities and suggest the use of a brush pile to encourage critters to make your yard their home. You, by the way, live in an amazing area and have worked so well with your natural landscape to created a haven for yourself and the invited wildlife.